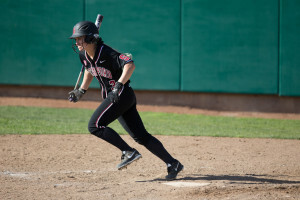 Although Stanford’s softball team led Tuesday night’s game 9-2 going into the top of the seventh inning, Pacific came back with five runs, but that was not enough to obtain a win over the Cardinal, which won 9-7. Stanford (16-19) defeated the Tigers (10-26) 9-5 earlier this season at the Stanford Nike Invitational. Starting strong, the Cardinal secured the first run of the game in the top of the second inning. With senior Hanna Winter’s single to first, sophomore Kylie Sorenson scored. The Cardinal’s defense, led by the pitching of Sorenson, held the Tigers until the fourth inning. With two outs, Toni Santos singled up the middle, and an error by Stanford allowed two runs to score. However, the Cardinal was not unsettled. Coming back with two runs on a single by junior Kayla Bonstrom at the top of the sixth, Stanford found its flow. In the top of the seventh, freshman Lauren Wegner’s flyout to right field and Winter’s single over shortstop added two more runs to the scoreboard. With two outs, Bonstrom hit a grand slam to extend its lead to 9-2. The Tigers came back in the bottom of the seventh. Molly Bourne hit a two-run homer with one out, and Pacific got two more runners on base. With two outs, Rachel Sellers homered to left field to narrow Stanford’s lead to 9-7. Nevertheless, the Cardinal held on. Santos grounded out to Sorenson, and the game was over. Stanford will travel to Seattle to play Washington at 5 p.m. on Thursday. The game will be televised on the Pac-12 Network.